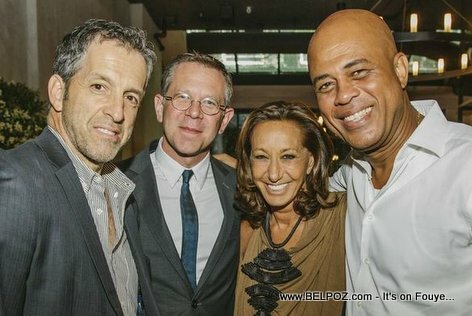 Kenneth Cole posted on his twitter page Wednesday: "Off on a Humanitarian trip to #Haiti w/ some inspiring associates (And to open a KC store while there). " The Haitian government is very happy of this grand opening of a designer clothing store in Haiti. 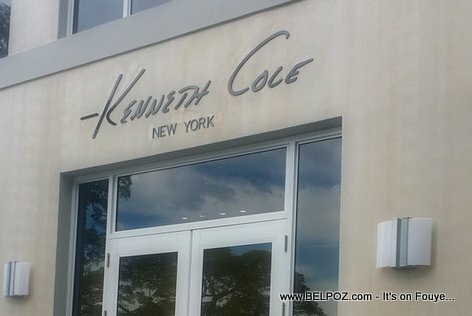 "The opening of a store of international brand Kenneth Cole in Haiti demonstrates the palpable impact of the efforts by the Martelly / Lamothe Government to attract foreign investment in the country. What could be better than Kenneth Cole fashion in an environment of ignorance due to no education, abject poverty due to indifference, lack of electricity, lack of health and security with corrupt and improvised governance, a judicial system in shambles along with a disappearing legislative represetation and so forth and so on...? This is great news, thanks for always keeping us up to date, however when you post things that are specific you have to make sure it all corroborate. The picture attached to this story did not match. just saying, as a reader. I approve as long as the jobs go to the Haitians. Great job and let's keep moving forward.